Francesco Maria Piave (18 May 1810 – 5 March 1876) was an Italian writer. He wrote the librettos (the story and words) for many operas. He is most famous for the librettos he wrote for operas composed by Giuseppe Verdi. Piave was born in Murano, an island in Venice. At first, he studied to be a Catholic priest. He stopped studying to be a priest and went to Rome. In Rome, he studied philosophy and writing. He wrote poems and stories for newspapers but he is most famous for his opera librettos. He wrote more than 60 librettos. The first one was for Giovanni Pacini's opera, Il duca d'Alba in 1842. 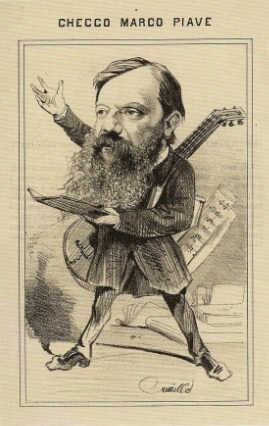 In 1844, he wrote the libretto for Verdi's opera Ernani. Piave and Verdi became very good friends, For twenty years, they wrote many letters to each other. Piave wrote nine more opera librettos for Verdi. The last libretto he wrote for him was La forza del destino. Piave also worked as a stage director (someone who decides how plays and operas are performed). He worked as a stage director for the Teatro La Fenice in Venice. Later (1859), he worked as a stage director at La Scala in Milan. In 1867, Piave had a stroke (a problem in the brain caused by lack of blood). He lived for eight more years, but he could not move or speak. Verdi gave money to help Piave's wife and family. 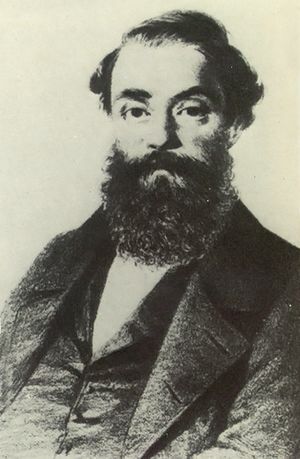 In 1876, Piave died in Milan. Verdi paid for his funeral. Francesco Maria Piave Facts for Kids. Kiddle Encyclopedia.